Another year, another great DKI Sales & Marketing Summit! This time, with a new and improved agenda! Thank you to all our members who made this event a memorable and insightful experience. We are honored to have you all a part of our growing network! 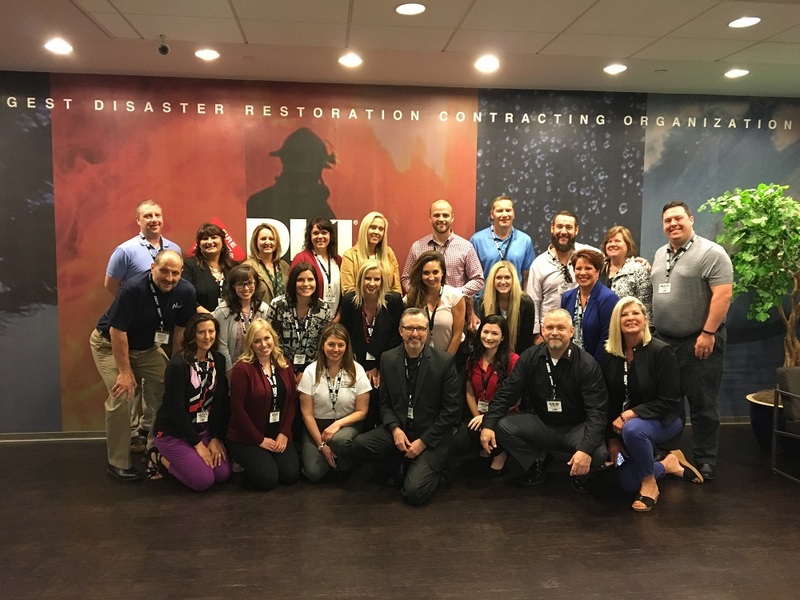 Last week, DKI Headquarters held its 2017 Sales & Marketing Summit, welcoming some of the creative, driven professionals within our team from all over the country! From California and Idaho to Texas, Florida, even Maine and places in between, all attendees arrived on Tuesday to prepare for two and a half challenging days of business strategy. Day one (Wednesday) kicked off with an opening speech from DKI’s CEO, providing the attendees some interesting background on the DKI Corporation, its values, and how our network has evolved over the last 40(plus) years. Following the company overview, we dove head first into how to maintain our individual identities while upholding the solid reputation of the DKI Network, and continuing to provide a positive customer experience. This included understanding the differences between goal and task oriented individuals and how to effectively foster the strengths of each, identifying significant changes to improve your business and when to best make them, and utilizing DKI’s tools and resources to better your customer communication and response times. Days one and two were packed with roundtable discussions, group debates and guest speakers. In fact, there was so much content and impressive additional contributions from our DKI members that we almost ran out of time both days! But, we certainly made sure to fuel ourselves with some of Chicago’s delicious food! Wednesday ended at Chicago’s famous deep-dish pizza place, Lou Malnati’s, where it turned out, our eyes were bigger than our stomachs! But, even through piles of pizza before us, the conversation kept flowing and our members continued to network and strategize with one another. Then, Thursday night, following another full day of innovative strategy and group discussions, we stuffed our faces with some delicious barbeque at Sweet Baby Ray’s. Though Friday was the last day, it did not disappoint. We wrapped up our agenda, learning a new approach to advance our commercial business, and introduced a new marketing materials portal, exclusive to our DKI members. Following the sneak peek of the online portal, we opened the last hour up for Q&A. Overall, the feedback and engagement from this event was a huge success! We are honored to work with such bright and creative minds who truly care about their line of work and its customers. Last week demonstrated the value of company-wide conferences and this new enhanced format. We are excited to schedule another Summit later this year to include even more of our members and learn what is working for them in their region and what can be shared amongst all DKI member companies. Stay tuned!